If you are happy with the great public communications platforms from Google, Adobe Buzzword, Zoho, AjaxWrite and others, stay with them. They do a wonderful job. (We utilize some of them for selected uses, ourselves.) You probably have no need to read further here. However, If you are concerned with security, ultimate ownership and control of your information, and are looking for an integrated communications system that can be customized for your needs, read on. 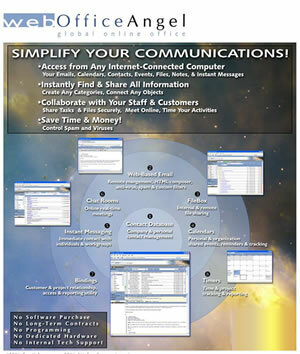 We began in 1981 the design of what emerged as the WebAngel software suite. Our primary motivation was to enable automation of the thousands of custom research, planning and marketing projects we were hired for. In 2000, once Internet technology could support a web-based platform, we formed MutualGravity, which is owned and managed by five hands-on entrepreneurs. MutualGravity's genius programmers internally wrote all of the code for the WebAngel Suite and released the software in 2003. 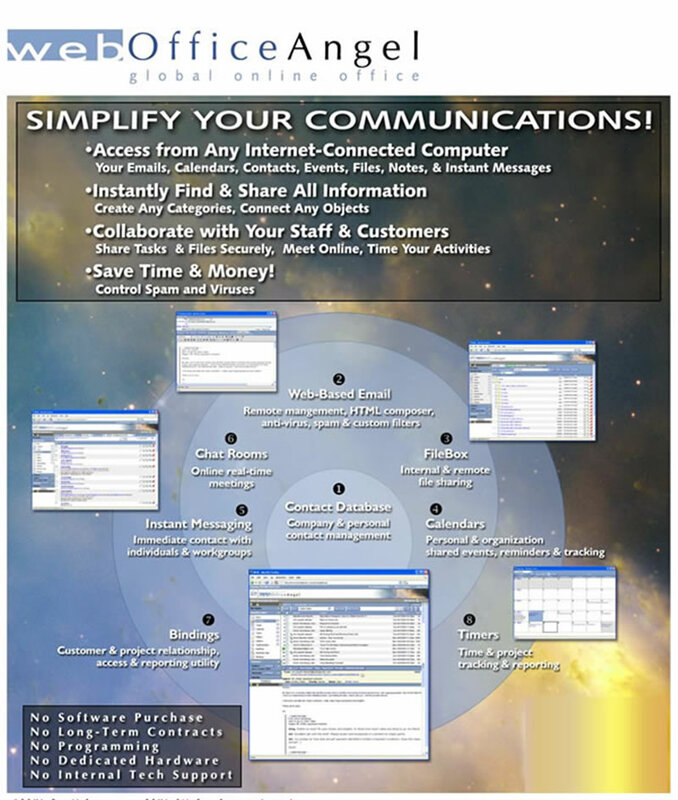 WebAngel software is platform independent (PC, Mac or Linux), and provides a complete online office and communications platform used by thousands. It enables us to move quickly in customizing our services for our clients. The WebAngel Suite is a complete Software as a Service (SAAS) solution, requiring no software downloads, no IT staff support, no client programming, and no server management. It provides blazingly fast speed, with encrypted access. We manage our own businesses on the platform, with access from anywhere. If you desire a platform customized to your needs, let us know. SUCCESS STORY: We built a custom field service management system within WebContentAngel for Canadian publicly traded switching locomotive manufacturer, RailPower, used globally by their field service personnel. 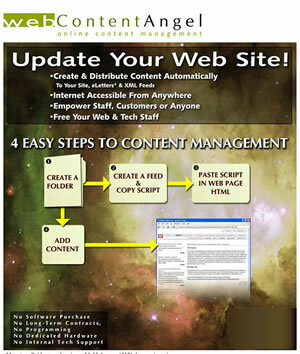 WebContentAngel is a powerful, but easy-to-use website content management system. It feeds news to your sites, empowers your users and frees your staff. It requires no programming, and enables point and click security through a user group structure. 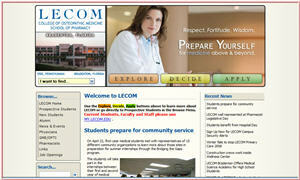 SUCCESS STORY: After conducting multiple research studies over the years for Lake Erie College of Osteopathic Medicine (LECOM), the largest and fastest medical school in the U.S., we were contracted with MutualGravity to recreate LECOM's entire 3,000 page website, using the entire WebAngel Suite, including such features as auto-managing 10,000 annual applications for medical and pharmacy schools at their Pennsylvania and Florida campuses through a customization of WebSurveyAngel. 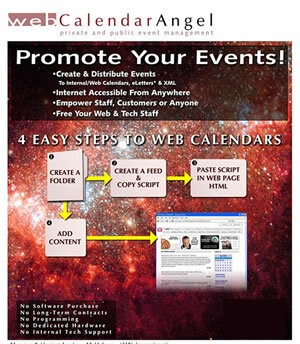 WebCalendarAngel provides personal, shared, organizational and web-based calendars. It can easily be used to manage an regional events calendar. 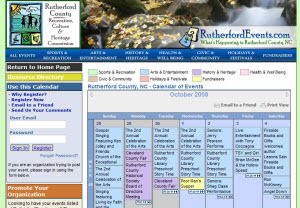 SUCCESS STORY: Rutherford County, North Carolina utilizes a customized version of WebCalendar Angel to manage its entire regional events calendar. The system lets visitors view all events, search by almost any filter imaginable, or elect to sign up for automated eLetters that inform them of upcoming events that match their interests. Organizations can be authorized to enter events directly (moderated or unmoderated), and event moderation is a simple, single click process. 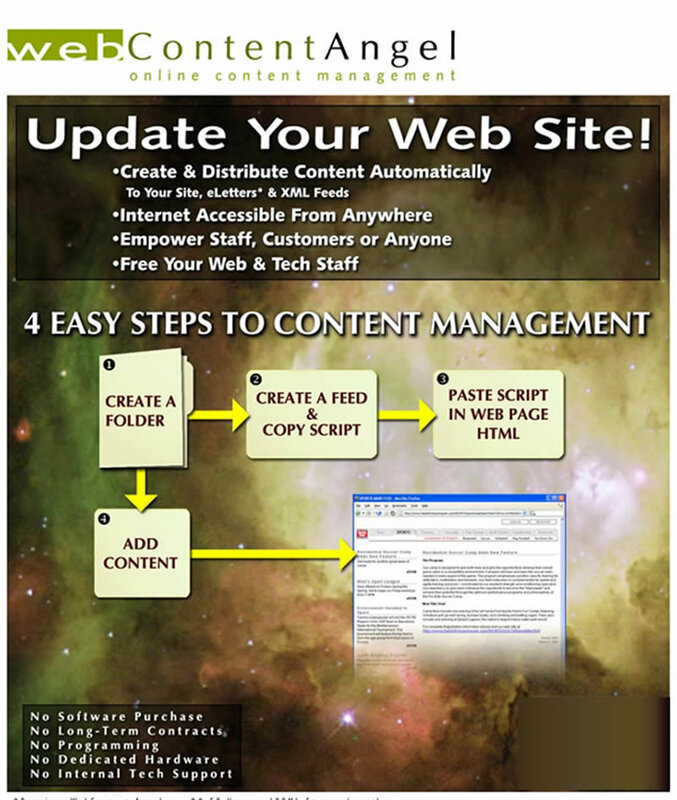 WebContact Angel enables automated, personalized eNewsletters, invitations, thank you notes, ePostcards, and press releases. 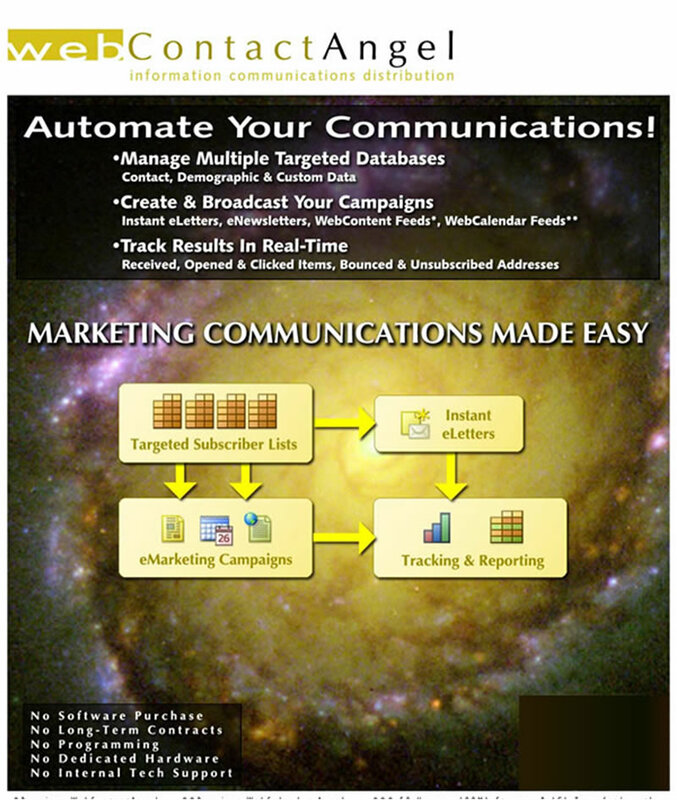 Through the WebContactAngel system, we have managed over 10 million emails a week. 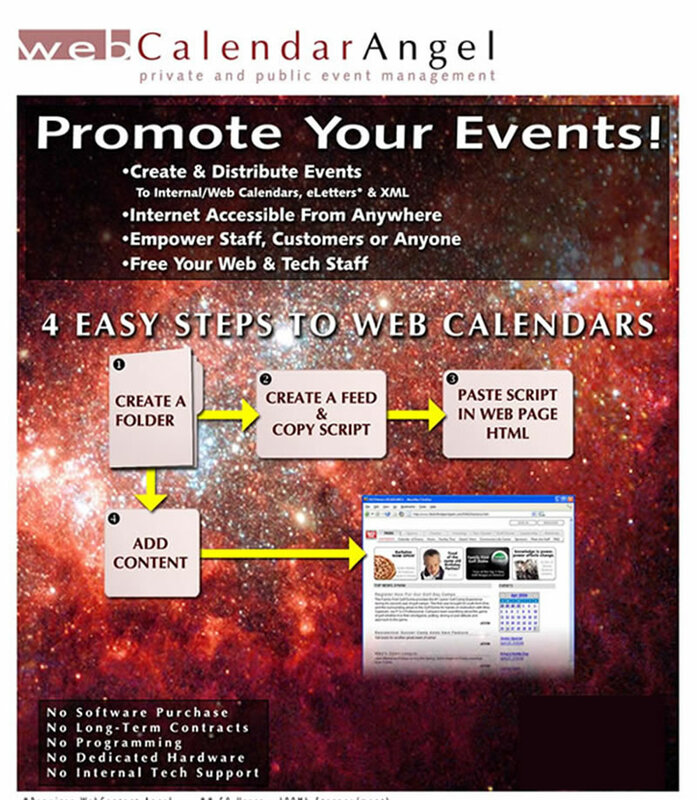 WebContactAnglel lets you schedule sending your eLetters in advance, or manually send them. ELetters are formatted with header/footer templates and style sheet (CSS). Our software is Can Spam compliant, manages bouncebacks, and lets users auto-unsubscribe. It provides scripts to create forms for your website, letting folks sign up for one or multiple eLetters, and manage their own eLetter subscriptions. 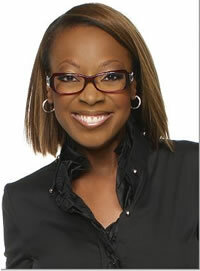 SUCCESS STORY: The great folks at hosting company, HostMySite, whom we highly recommend, called us to ask if we could take over managing the periodic eLetters to lawyer and television personality Star Jones' 500,000 fans. Within three days of receipt of content and databases, we installed a dedicated server and delivered the half million missives, beginning a great relationship with Star. 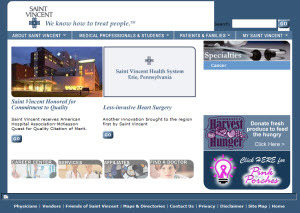 SUCCESS STORY: Saint Vincent Health Center's request for a hospital-wide real-time patient satisfaction system was implemented in four weeks, rather than the typical 12 to 18 months. 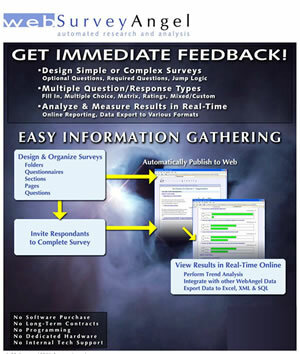 In response to their request, we customized WebSurveyAngel to create the FullCircle Patient Satisfaction system. The hospital authorized 70 administrators, physicians and nurse supervisors with 24/7 access to real-time results for over 8,000 patients' responses and ratings. 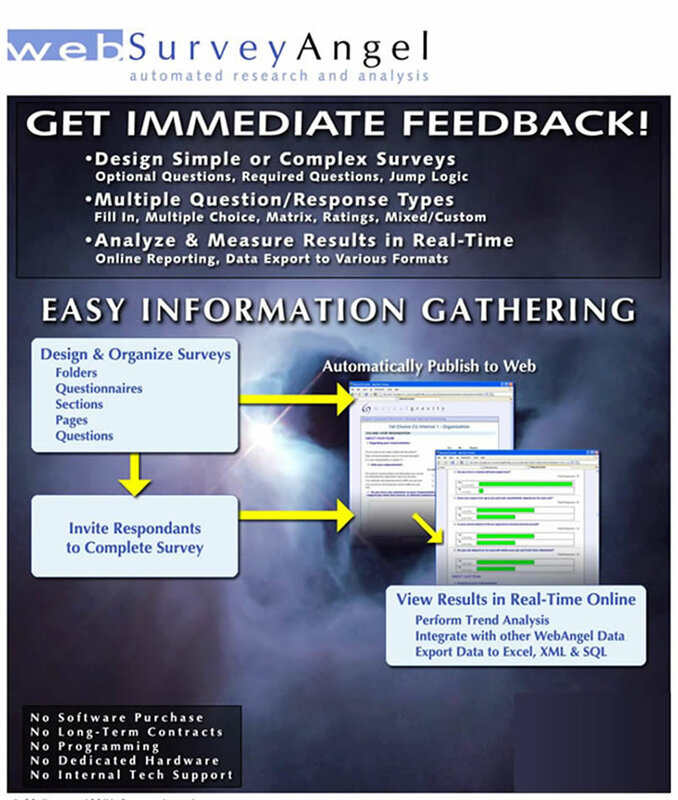 CONTACT US to customize our platform for you, and automate your internal and external research and communications.